"What is remarkable is that the plants exposed to different vibrations, including those made by a gentle wind or different insect sounds that share some acoustic features with caterpillar feeding vibrations did not increase their chemical defenses," Cocroft said. "This indicates that the plants are able to distinguish feeding vibrations from other common sources of environmental vibration." 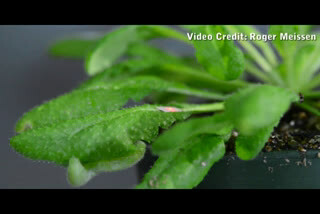 "Plants have many ways to detect insect attack, but feeding vibrations are likely the fastest way for distant parts of the plant to perceive the attack and begin to increase their defenses," Cocroft said. 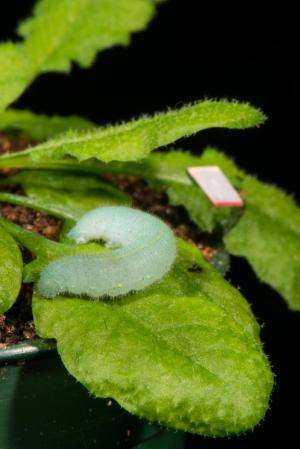 "Caterpillars react to this chemical defense by crawling away, so using vibrations to enhance plant defenses could be useful to agriculture," Appel said. 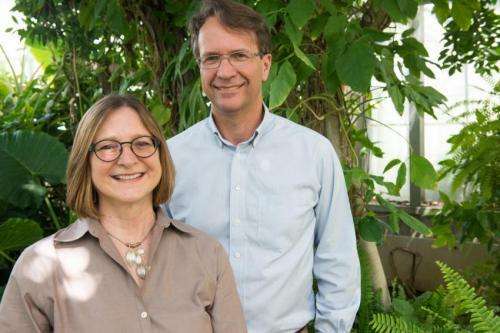 "This research also opens the window of plant behavior a little wider, showing that plants have many of the same responses to outside influences that animals do, even though the responses look different." The study, "Plants respond to leaf vibrations caused by insect herbivore chewing," was funded in part by the National Science Foundation and was published in Oecologia.